From Relais & Chateaux gems to one of the Leading Hotels of the World, chef Heiko Riebandt is no stranger to opulent surroundings and being tasked with creating food worthy of being served there. Soft spoken Germanic tones tell of a decorated career throughout the highest of the high end properties in Europe, including the iconic Grand Hotel Kronenhof in the Swiss Alps, which has now led him to the distinguished Killarney Park Hotel in beautiful County Kerry. Having experienced Heiko’s cooking for myself in The Park Restaurant, a sophisticated fine dining destination in the heart of picturesque Killarney town, I was keen to learn more about the talented man behind the impressive menu. As the name would suggest, Heiko has been poached from the Continent, a German native who is settling nicely into his adopted Kerry home. Having trained in luxury five star properties of the prestigious Relais & Chateaux collection, it was the GM of the Grand Hotel Kronenhof who planted the seed of Irish promise in Heiko’s mind when he moved to Sheen Falls in Sneem, Co. Kerry. At the time, Heiko had his mind set on a move to Canada but decided to make a quick pit stop in Ireland before making the move across the Atlantic -. “that was 10 years ago!” he laughs, noting a brief return to Germany before deciding to make the move back to Ireland last year with his wife. The magnetic draw of Irish life, Heiko attributes to “the culture and the people” but he admits that “being in County Kerry helped”, laughing as he notes “I think if I had been in Dublin or up the North I would be in Canada by now!” With a great sense of wonder for his magnificent surroundings, he smiles “it isn’t called the Kingdom for nothing!” With the mountains, the coast, the fresh produce and his love of fishing and hunting, Heiko believes Kerry is the perfect place for him and in the luxurious surroundings of the Killarney Park Hotel, he seems entirely content. JP McMahon, widely considered an Irish culinary champion, has highlighted the fact that you shouldn’t eat an animal unless you would be comfortable killing it, or at least watching it being killed, endorsing Magnus Nilsson’s ‘drivers licence to eat meat’ theory. It would seem that this respect for the nature and source of food is not lost on Heiko, as his hunting background informs and fuels his desire to design every dish with the season in mind. “I grew up with it, from the ground up, getting the product yourself, participating in hunts and I kept that appreciation”, he says. Heiko’s Autumnal menu, littered with game, chestnuts, mushrooms – a shining example of commitment to seasonality – was the exact the exact opposite of the robotic menu quarterly shuffling you can observe in so many hotel restaurants. Heiko’s move to Autumn was a cause for celebration, and the chance to utilise the bounty of the changing season clearly excites him as a creative chef. While seasonality is one concept which Heiko has gone to great lengths to stay true to in his cooking, utilising local ingredients is just as important where possible. It is for precisely this reason that Heiko has developed a “Taste of Kerry” menu, the first of its kind in the county, comprising of seven courses of the finest produce the locality can offer. This is offered alongside the seasonal a la carte menu, covering all bases, as there is no grouse or venison to be found locally. A raised eyebrow on my part greets Heiko’s suggestion that Kerry venison isn’t as prevalent as I would assume, but he clarifies, laughing heartily “we have quite a large population of deer here but it is all in the National Park…I think they don’t like it if you go hunting there!” The tranquil wildlife living in the sleepy surroundings of Killarney National Park, he confirms, is never disturbed by a game hungry shotgun wielding German chef! Heiko tells me wild garlic, vibrant wildflowers and herbs are however abundant in the Park and he and his team harvest them by hand, as well as foraging for wild mushrooms. Scallops from Spillane’s Seafood and sumptuous salt grass fed Ring of Kerry lamb from local producers based in the Beara Peninsula have pride of place on The Park Restaurant’s Taste of Kerry menu, and for his beef loving Irish audience, Killarney’s Cronin’s butchers supply beef from cattle from fields not too far from the hotel and all pork products used come from local butchers Tim Jones. In Sheen Falls, Heiko recalls having his own lobster cages out on the bay – “much to the happiness of my wife, that is how I’d spend my days off…it was worth it for the lobster!” he laughs. The finest ingredients, hand poached, are clearly something Heiko is extremely passionate about, also enjoying salmon fishing for family and friends. As for inspiration from his homeland, Heiko says “he roots are always there but I take new, inspiring things and fuse them with tradition.” Growing up with his grandmother cooking on Sundays, game was prevalent at the Reibandt family feast with duck, goose, venison and hare as the centrepiece – “she never would have made a cherry reduction though!” he smiles. 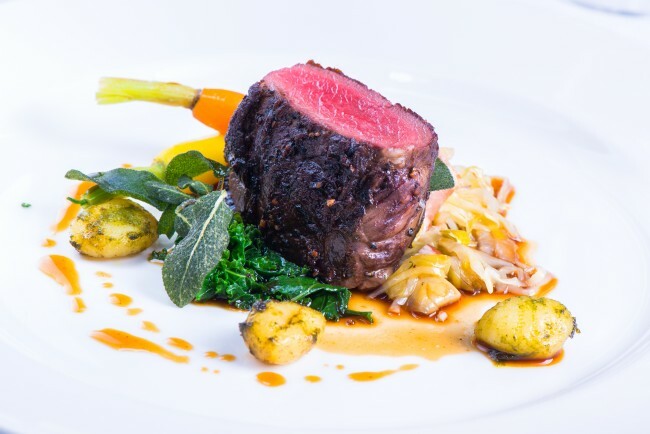 Now, balancing a stunning haunch of sous vide ruby venison with subtle aniseed earthiness of celeriac mousseline and the liquorice kick of Tasmanian pepper, his roots have branched out into a complex and well thought out array of dishes. I mention how visually stunning I know his creations to be and Heiko notes that he has evolved with modern presentation, but technique and emphasis on extracting maximum flavour are the cornerstones of his craft. “I am classically French trained so I was fortunate enough to learn everything from butchering to making terrines to making pates”, he says of his broad culinary repertoire. Heiko’s classical training means he has a leaning towards the pillars of the traditional French cuisine, which of course leads the conversation to foie gras. 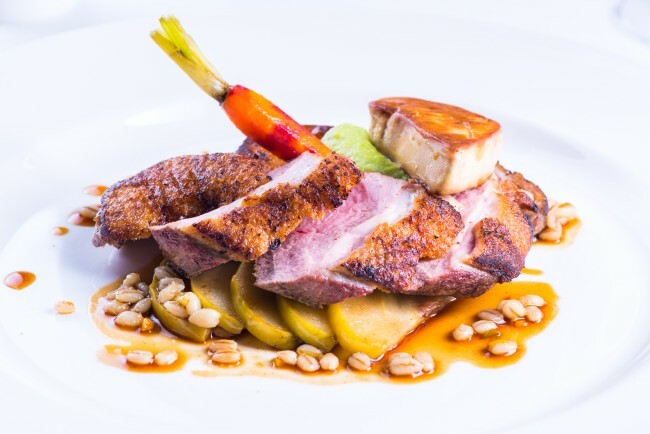 “I know some people are put off by the production on foie gras”, Heiko acknowledges, but goes on to tell me about sourcing Organic Goose Foie Gras from Belgium which is happily fed – “I believe you can taste the difference” he says. He is generous with his time and knowledge of food, animated explaining fig fed foie gras, which involves geese indulging in the food they enjoy, not unlike acorn-fed pata negra, which imparts a subtle flavour to the finished product. Wherever Heiko is working, his goal is to bring the surrounding environment into his restaurant, “when I worked in Sheen Falls, I tried to bring that woodland atmosphere into the restaurant and my plates, in Doonbeg I tried to bring the harshness from the shoreline in, and in Killarney, with beautiful scenery and mountain ranges, we try to reflect that on the plate”, he says. Cultivating close relationships with small artisan producers in the local area and Kerry generally is high on Heiko’s list of priorities. As our conversation draws to a close, Heiko gives me a sneak peak into what KPH’s festive celebration showcase, which they hold every year, will bring – ice sculptures, tranches of foie gras, whole wheels of Parmesan hand-shaved, a seafood pyramid overflowing with crab cocktails, gratinated scallops on the half shell, oysters and every luxurious delight imaginable. It is clear the Killarney Park Hotel does nothing by half measures when it comes to food, and indeed in sourcing chefs. In Heiko they have unearthed a gem. The enthusiasm with which Heiko describes the delicious offering to come is evident, he is animated and passionate about every ingredient he uses and this permeates the dishes he creates. 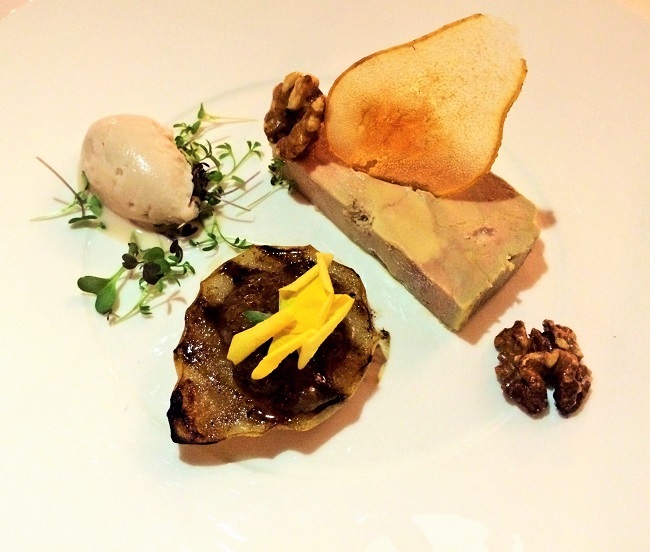 Just as a happily fed goose produces distinctly delicious foie gras, the contentment of a chef in his surroundings makes its way onto the plate. Heiko puts his heart into his cooking and I imagine he does so with a smile, and you can taste the difference. Previous story Welcome 2017 in Style: Dean Dublin #NYExperience – Access All Areas!